Everyone knows the story of how the little shepherd boy slew the great giant Goliath. (I’ve used this analogy over and over.) Any time we’re hatching a plan for a big upset, most of us think of ourselves as David. BUT what if you are Goliath? Everyone expects you to trounce your smaller foe, so it can be a no-win situation. If you destroy David you get no props, because you did what everyone expected; if you lose, you’re a bum. So what should Goliath have done to defeat David? 1. Know your opponent. There was no scouting report on the young shepherd, so Goliath was fighting an unknown. If you don’t know your opponent, proceed with caution, because rushing into battle is the quickest way to The Little Big Horn. 2. Never underestimate your opponent because of size. 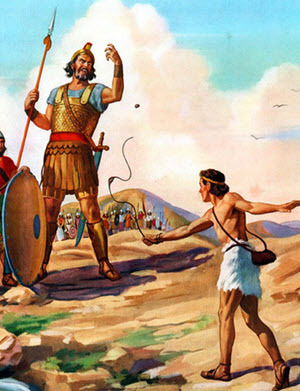 Goliath was overconfident because of David’s small stature. Bear Bryant‘s early National Championship teams were always quick and fast, but were usually outweighed by their opponents. The announcers would always mention how small Bear’s guys looked, but were stunned at how big they played. Remember, it’s not the size of the dog in the fight; it’s the size of the fight in the dog. 3. Never fight today’s battles with yesterday’s weapons. Goliath went to the battle with David armed with same sword and shield that he always used. However, versus David, he faced long range artillery in the form of a slingshot. The Nazis’ early success in World War II was due in part to Europe using World War I tactics and weaponry against their new Blitzkrieg style of warfare. Goliath wasn’t prepared for the slingshot. 4. Goliath was immobile, thus an easy target for David. Goliath’s lack of mobility was never a factor when his opponents came to him mano a mano, but against David this proved to be a deadly flaw. 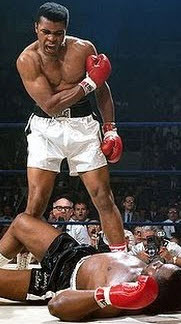 Sonny Liston‘s lack of mobility was never a factor until exposed by the mercurial Muhammad Ali. (A weakness isn’t a weakness until it’s exposed.) So Goliath never knew his weakness until it was too late. Sun Tzu said that knowing your enemy’s weakness is important, but knowing your own is critical. The Big G found this out the hard way. So what should the mighty Goliath done to beat this new kid on the block? Could Goliath have beaten David? Was Goliath the one who was really the underdog? 1. Be a good sport. Offer to shake hands with David prior to the battle. This would bring David close to Goliath where he would be most effective. 2. 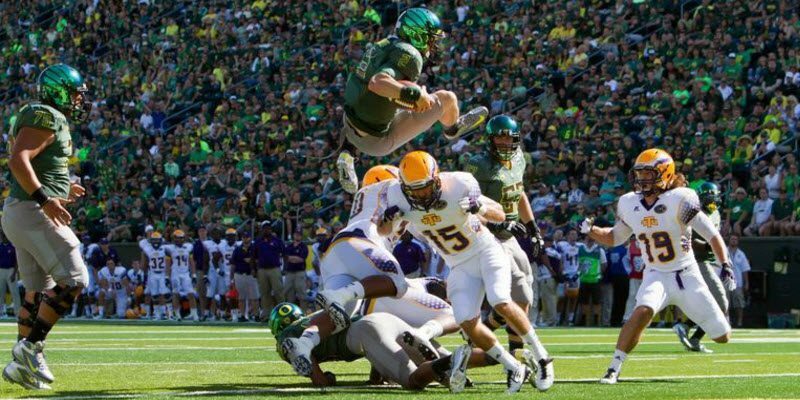 When going up against an unknown opponent, always play Defense first. (Learn what you are up against.) Don’t become a General Custer. Find out what David can do. Time is on your side. Err on the side of caution. 3. Get a Scouting Report. Learn all you can about your opponent. If Goliath had known David was a shepherd, he might have expected him to use a slingshot, and David’s element of surprise would have been gone. 4. Lure the tiger from the mountain. If you can’t get close to David, make David come to you. When Goliath went down from the stone, David rushed in to behead Goliath. But what if Goliath were faking injury? When young Davey boy went in for the kill — he would have been in Goliath’s yard, fighting Goliath’s style of battle. The advantage in close quarters goes to the Big G.
Goliath wasn’t prepared for this battle, and his win streak was over. Mike Tyson had 40-1 odds to retain his heavyweight crown in his match against Buster Douglas. He never prepared for the match, and he lost. Always prepare as if your current opponent is your toughest one, and you’ll be ready to improvise, adjust and advance. So if I were coaching Goliath, the big guy would have been ready, and David would have wished he was back tending his sheep.